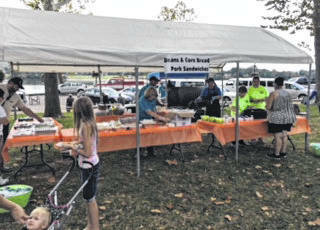 Rock the Block is set for this Saturday from noon to 3 p.m. at Gallipolis City Park. 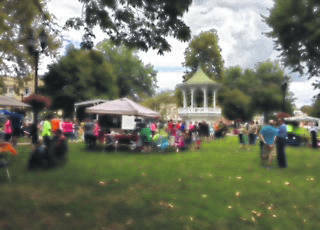 GALLIPOLIS — The 4th annual “Rock the Block” will take place this Saturday at Gallipolis City Park. Rock the Block will take place from noon to 3 p.m. with activities, food and much more for all ages. This will be the first year that River City Fellowship, Fellowship of Faith and Vinton Baptist Church will work together for a community outreach event to be the feet and hands of Jesus extending His unconditional love into the community, according to Judy Fields. All food, entertainment and activities are free to the community as long as quantity last. 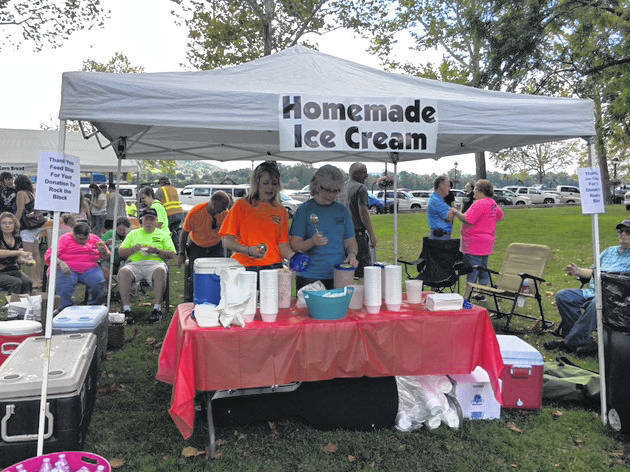 Fields stated that food is to include Steve Forgey’s famous pork, Randy Harrison’s delicious beans, River City Fellowship will provide grilled hotdogs, Vinton Baptist’s community groups will furnish tacos-in-a-bag and home-made ice cream and much more. A corn-hole tournament starting at 1 p.m. with registration starting at 12:30 p.m., with gift cards for first place. The University of Rio Grande sports teams will be doing demonstrations of men and women sports skills. Free children haircuts will be provided from 1-2 p.m.
Entertainment will include Fellowship of Faith praise band providing the music for the day and organizing a variety show. Activities include inflatables, rock painting, animal balloons, bean bag toss, and a hula loop contest. For teens, a video gaming tent will be featuring Mario Kart. Also expected to be on hand are the fire department with a truck for viewing, the sheriff’s office with a drug dog demonstration, and a dunking booth. Door prizes including bicycles for children will be given out at the event. https://www.mydailytribune.com/wp-content/uploads/sites/42/2018/09/web1_9.26-Rock-the-block-1_ne2018925172346520.jpgRock the Block is set for this Saturday from noon to 3 p.m. at Gallipolis City Park.